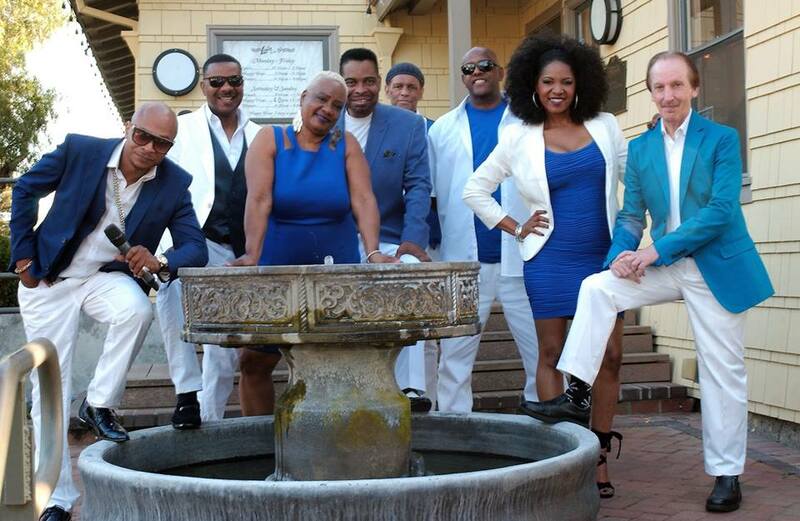 Summertime in Downtown means one thing: Music, Food, and Fun for the Entire Family! Is our longest running event series. 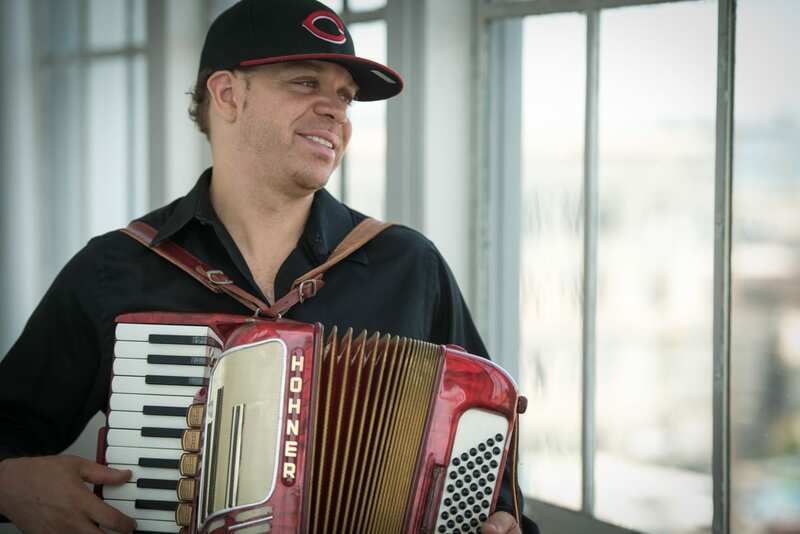 Since 2001, this concert series has brought thousands of people Downtown to enjoy a night on the town filled with music, food, and family fun. 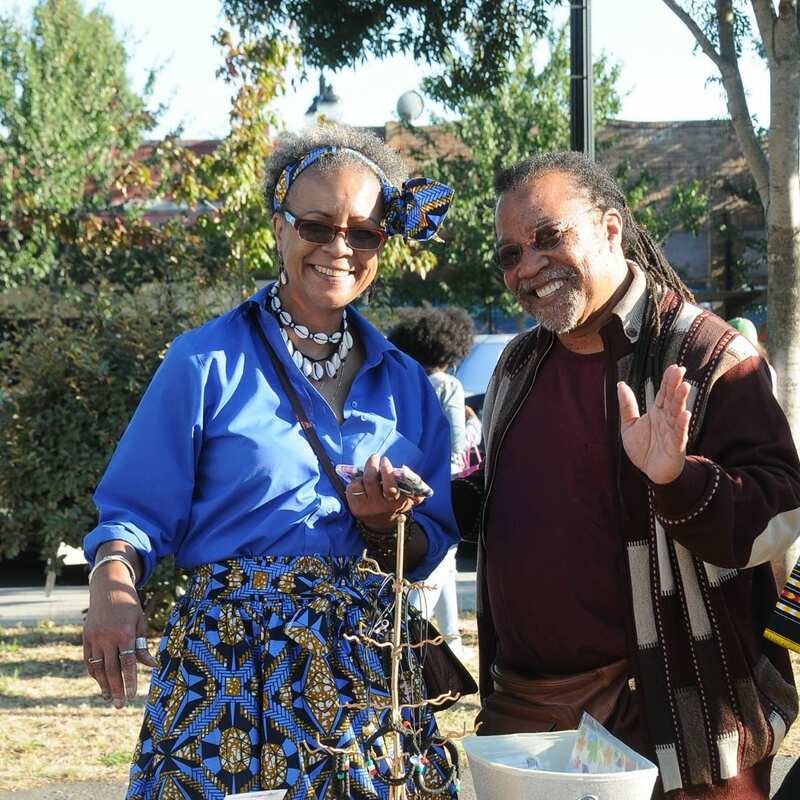 Each concert features a variety of musical performances, arts and crafts activities for children, local entrepreneurs and nonprofit organizations, and food. 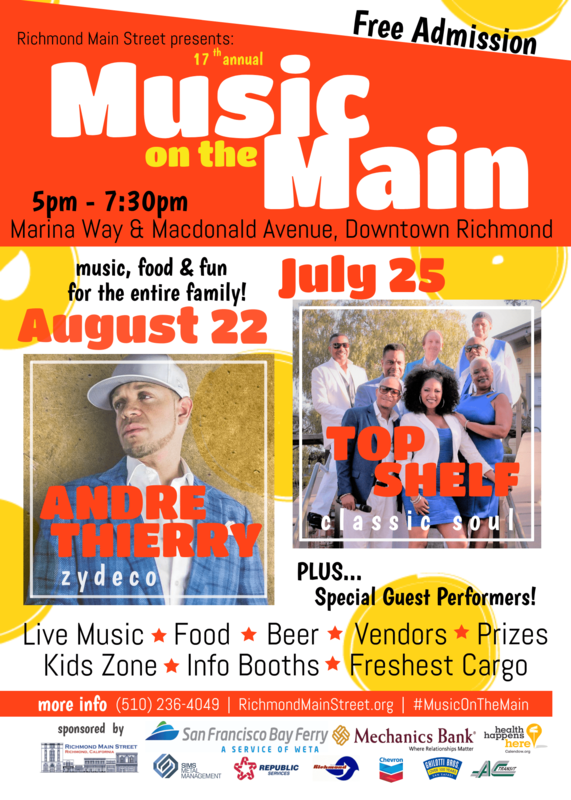 Music on the Main is a critical tool that Richmond Main Street uses to engage the community, provide business opportunities to local entrepreneurs and district merchants, and build a strong arts and entertainment district. 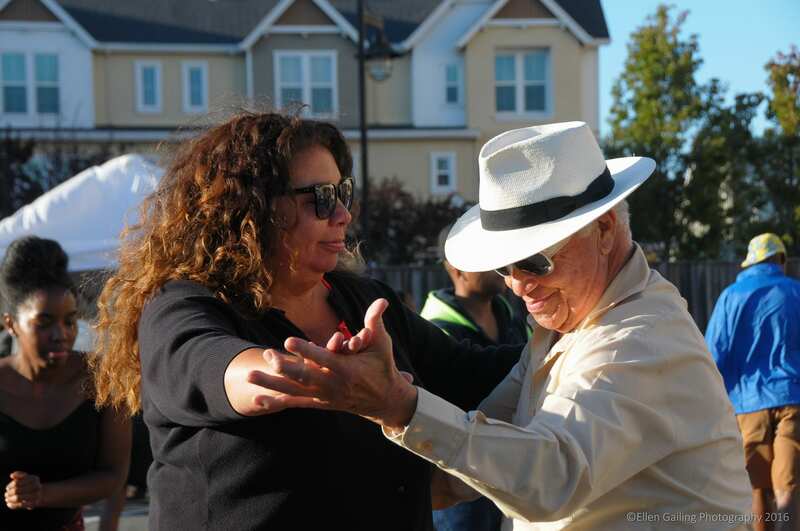 Dancing, Info Booths, Prizes, Giveaways & Youth Zone…and more! Help us bring this event to life! 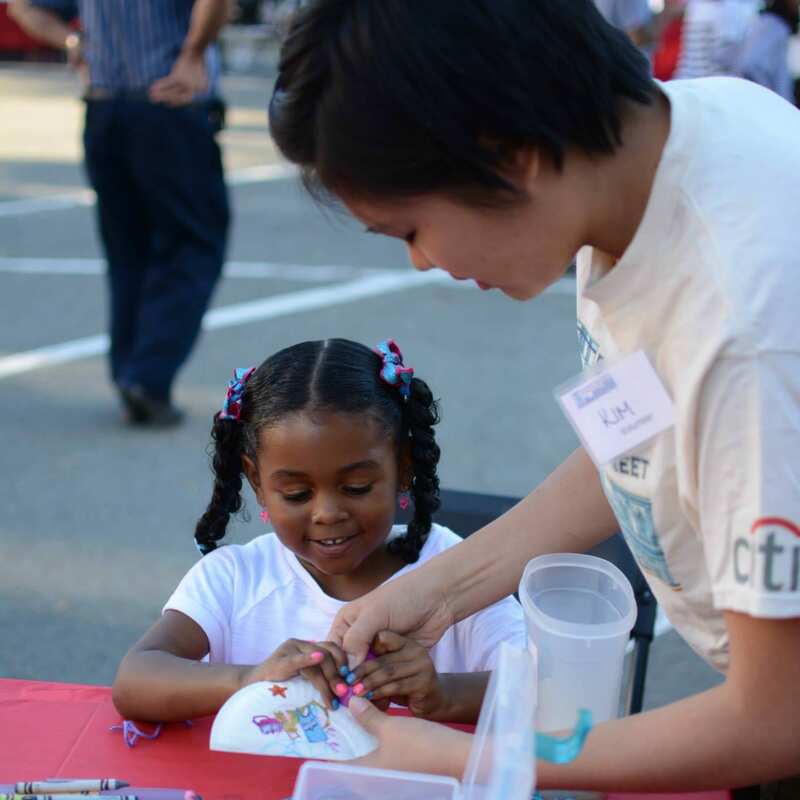 From set-up to clean-up, there’s something for everyone…and it’s a lot of fun. Become a Music on the Main Champion! Get your dancing shoes ready for the 2018 Music on the Main summer concert series! We also invite you to champion these concerts by becoming a financial, in-kind, or advertising sponsor: a win-win partnership that will build maximum visibility and boost our mutual objectives. 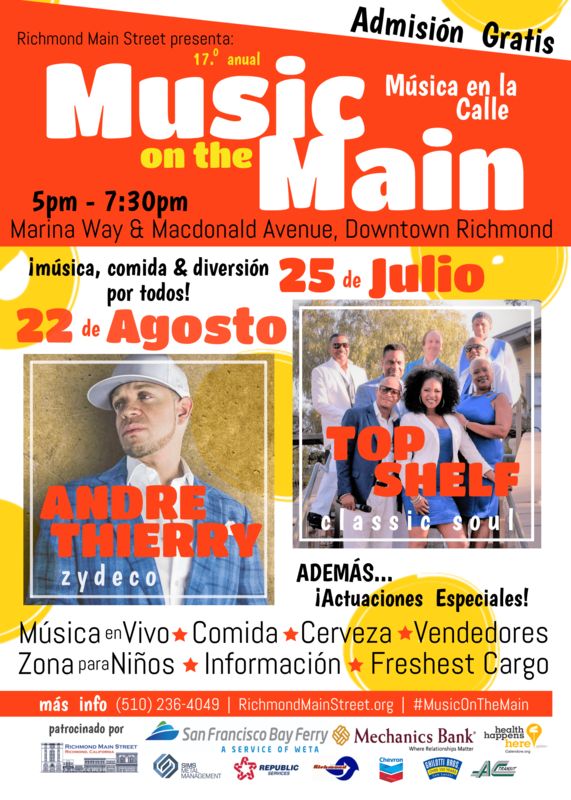 Now in its 17th year, Music on the Main is truly a summertime tradition in Downtown Richmond. We invite you to save the date to enjoy music, food, and family fun at these fantastic concerts…and support Music on the Main today!